There are exercise bike sales that take place throughout the year, not just on Black Friday, Cyber Monday or holiday time. As such, if you're looking to buy a new recumbent, upright or studio cycle, you don't have to wait until November to get a good deal. There are plenty of savings opportunities during other months as well...you just have to know where to look. Here we outline all of the sales that you will find in a typical year, so you know what to expect and how to find the very best deals. NordicTrack Bikes - up to 45% off - SEE BEST PRICES NOW! ProForm Bikes - up to 40% off - SEE BEST PRICES NOW! Life Fitness Bikes - use coupon code SAVE10NOW - SEE BEST PRICES NOW! Diamondback Bikes - up to $200 off - SEE BEST PRICES NOW! Amazon Bike Sale - Up to 40% off and Free Shipping - SEE BEST PRICES NOW! We'll start off with Black Friday exercise bike sales, as that is the day that everyone talks about and a time when the most people are looking for a good deal on something that might be out of their price range otherwise. This is the day after Thanksgiving, and typically stores will start their sales the previous night or really early in the morning. The mad rush of people ensues, all hoping to grab that special item before supplies run out. The good thing is that although Cyber Monday is known to be the day to save online, many retailers offer the same exact discounts on Black Friday and even a few days before in some cases. So you can get the same great deals online as you can offline...why leave your house? Your Black Friday bike sales can be quite significant. A recumbent bike that normally costs around $1,500 retail and $1,200 during a typical sale might just be priced at $999. That's quite a bit of savings. And depending on inventory, you might just find that the Cyber Monday price is even lower, as companies might be trying to sell out all of their inventory to make way for a new model. After the rush of Black Friday and Cyber Monday, things slow down just a bit and prices may rise a tad, but then they tend to come right back down again for the Christmas holiday, when everyone's buying gifts for friends, family, coworkers, etc. Now, you might be asking...which exercise bikes are on sale? Very good question. You will typically find the best deals directly from the manufacturer, but there are sales to be found at online retailers like Amazon as well. We've seen up to 50% off at NordicTrack and ProForm. We've seen up to 40% at Sole and sometimes 25% at Life Fitness, a leader in the club quality category. So Black Friday and Cyber Monday exercise bike sales will be significant, as well holiday sales leading up to Christmas time. As we mentioned, there are plenty of other times to save big besides Black Friday and Cyber Monday. Pre-Christmas/Post Christmas - We touched on this above, but the days leading up to Christmas and the days after are opportunities for really great deals. Pre Christmas retailers are trying to sell as much as possible to holiday shoppers. Post Christmas, people are exchanging presents and spending money that they received as gifts. Special sales and discounts make buying hard to resist. New Year's Week - Believe it or not, Black Friday exercise bike sales are not the biggest of the year....New Year's week is. So that's when everyone is looking to buy a new treadmill, elliptical, rowing machine or exercise bike, that will eventually become a coat rack in most cases. You can find some fantastic exercise bike sales during the week after New Year's, so if you didn't get a chance to buy during Black Fiday, Cyber Monday or anytime during the December holiday sales, that's a really good time to get your new bike. Remainder of January - After the first week, many retailers still have inventory left over. so they might even discount recumbent or upright bikes even further to get rid of the last few models they have. I wouldn't necessarily bank on this, but if you did miss a New year's sale you might just get lucky afterwards. Valentine's/President's Day - The January momentum definitely spills over into February, and there are often as many people buying new exercise equipment then as there are in November and December. So even if you think you waited too long to get a discount on your new exercise bike, you'd be surprised at the sales available throughout the month of February. March through October - Around the end of February and early March, things tend to start slowing down a bit as most people who were looking to buy a new piece of cardio equipment as part of their New Year's resolution have already done so. Still, that doesn't mean that companies don't have exercise bikes to sell, and they often have really good sales to appeal to the smaller group of potential buyers. That's really good news for you. You also have a few holidays: Easter in March, Mother's Day and Memorial Day in May, Father's Day in June, 4th of July, Back-to-School sales in August, Labor Day in September, Columbus Day and Halloween in October. All of these holidays typically bring a one or two day sale with them. 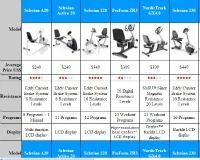 So as you can see there are many times during a calendar year that you can find some great exercise bike discounts. And we always point you to the best ones at any given time. Is it true that Black Friday and Cyber Monday exercise bike sales are some of the best you'll find all year? Yes, that's when the most people are shopping and retailers are competing with each other for your business. However, when it comes to exercise bikes and other cardio equipment, post New Year's is perhaps as good if not a better to save as that is the biggest time of year for the industry. And of course, there are some great deals to be had during other holidays and event days the rest of the year too, it's just a matter of knowing where are when to find them. 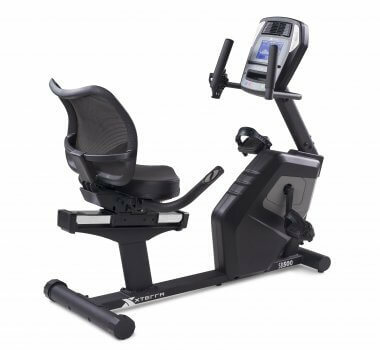 At All Exercise bikes, we have you covered when it comes to sales. 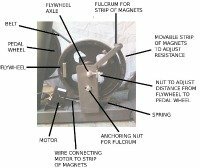 Just check back with us when you're thinking of buying and this page will give you the very best current exercise bike sales taking place.